Garden Rooms - the new Conservatories, extend your home! 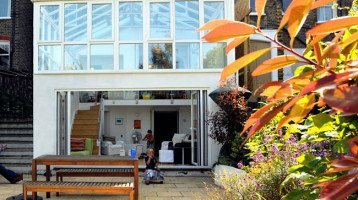 Many people are now referring to conservatories as Garden Rooms. The market is clearly changing. Sliding Folding doors are replacing many patios and are now the first choice for extensions. It is good that firms with an eye on the market are evolving to suit these changes and not just standing still. If the market is changing we have to change with it. 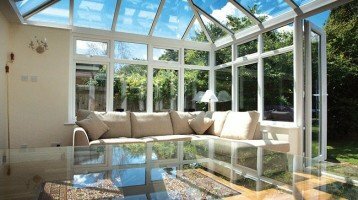 Whilst many still like conservatories, garden rooms and orangeries reflect today’s changing trends. Cheam Windows in Surrey are currently doing much work in this field and are very busy indeed with extensions, garden rooms and orangeries. 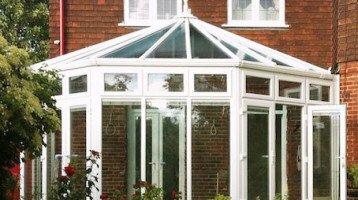 Whilst a conservatory is a lovely building, times have seen Garden Rooms and Extensions being a better improvement to a property. Giving much more functionality to a room and better suited to the ups and downs of the British climate. A more solid build which is far more versatile and than a typical glazed aluminium or plastic conservatory and for sure adds more value to a property. It will be interesting if in a few years time we will actually refer to conservatories as garden rooms or orangeries. Our garden rooms are not off-the-shelf products. Each one is specially made for you using the latest materials and very well insulated panels. These are all put together by craftsmen using modern construction methods. We provide a full design service with drawings and quotations and will help you with the process of obtaining planning permission (if required). All of our Garden Rooms are designed and built to last a lifetime and can be used all year round. They can of course be used year round, and in any climate. They come with full insulation, heating, light, power and communications. We design the building you want, to your exact needs – design, materials and size, right down to door handles and the style of the guttering. Visit our any of our three Double Glazing Showrooms to see the full range and get a free quote.